Chad Valley Bigablocks House are building blocks but on a monster scale. 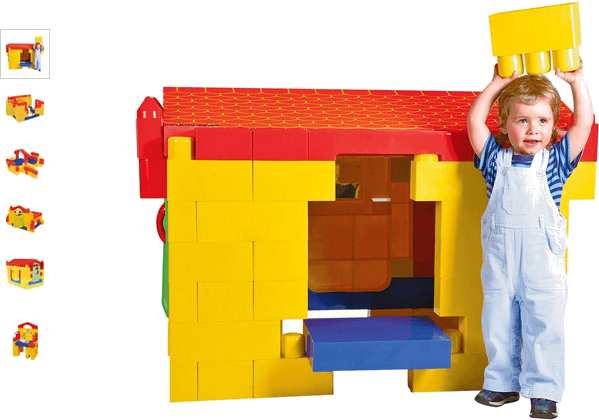 Children will love this ninety-two (92) piece robust plastic building pieces and there is no limit to what their imagination creates. Perfect for either home or garden play, follow guidelines to make a plethora of play situations including a house, work area or plane. If you'd rather freestyle you can simply let the creative energy of little ones run wild, see what they create! Get money off with April 2019 free Argos voucher codes, see if there's a promo code for the Chad Valley Bigablocks House product. Argos may be out of stock of this product. To enhance your shopping experience you may also be redirected to a search results page when you click an outbound link.